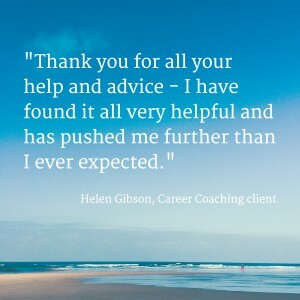 Helen decided to invest in career coaching to be able to define what her next step would be – whether to change career and if she could dare to go travelling. She felt indecisive, unsure of her experience and ideas and needed career confidence. 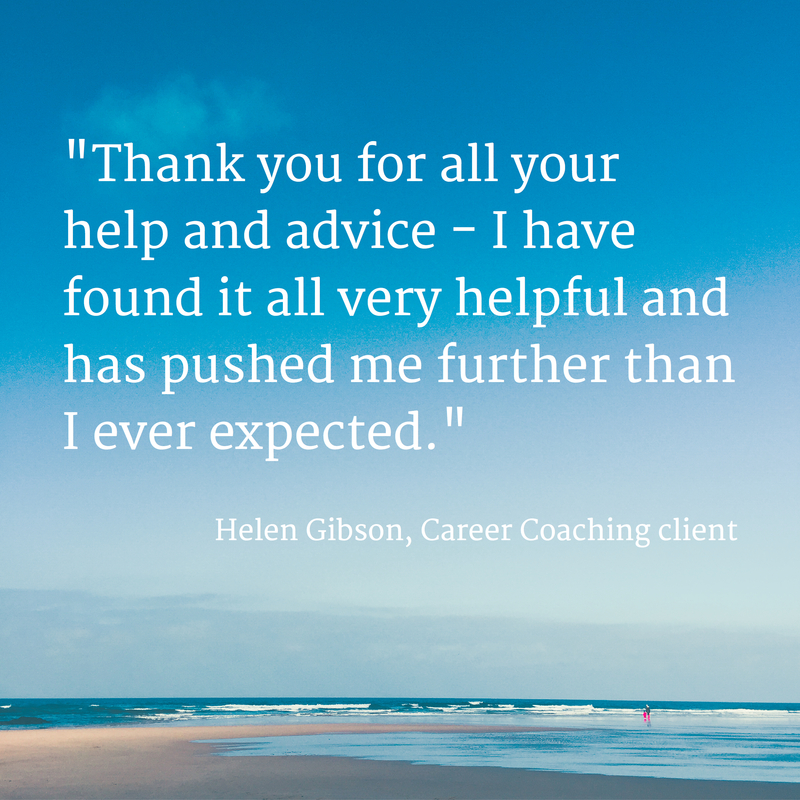 At the end of her coaching journey Helen felt like she could make career and life decisions with confidence. “As the main reason I went for coaching was that I was so indecisive, I was not expecting to be making so many decisions! It forced me to make more decisions and to think more on them. This in turn made me feel more confident that these were my decisions and confident that I can make more decisions on my own in the future. “Lucy understood my needs well. There was a time where my goal focus completely changed and she was flexible enough to go with this change and still be equally encouraging. “The process of talking through my ideas with someone very knowledgeable in the areas of career and travel was very helpful to me. I was able to verbalise my ideas and think over them and receive constructive feedback, which allowed me to be less indecisive about my life choices. “I found the exercises very useful as it gave me a way to get out my ideas between each session (the Your Focus exercise). The Action Plan helped me to focus on the actions and small steps to take to make my decisions. This also made me take responsibility to make progress and take practical steps towards my goals. I will still use my action plan for planning my travel and continuing with my career when I return from travelling. “Coaching has made me more decisive and confident of own choices and my abilities, in my career and in life. This decisiveness and confidence has made me pursue the things I have always wanted to do and achieve but have constantly put off. Contact me for your free discovery session to find out how coaching can help you move forward with your career or even make a complete career change. There’s no obligation and no charge for this 45 minute discovery call. If you like my approach, then we can book your first sessions and start your journey to making positive change.